We provide quality heating and cooling services to residential and commercial clients in Bergen County NJ and the surrounding areas. We have provided heating and a/c repair and installation services throughout New Jersey for many years and have dedicated ourselves to developing our reputation for exceptional customer service, honesty and professional work. We specialize in a wide range of HVAC repair ac and heating installation, repair and replacement services for residential homes and commercial businesses and pride ourselves on our rapid response policy. We answer the phone 24 hours a day, 7 days a week and have our technicians on stand-by 24/7 365 days a year to quickly handle any a/c or heating emergency. Our technicians have a wide range of air conditioner installation, repair and replacement services for residential homes and commercial businesses and pride ourselves on our rapid response policy. We answer the phone 24 hours a day, 7 days a week and have our technicians on stand-by 24/7, 365 days a year to quickly handle any a/c emergency. Feel confident that when you call us, we will have an expert a/c repair technician at your door to solve you’re a/c problem quickly and affordably. 2015-06-30 Looking for an Air Conditioner Repair Service in NJ? 2015-06-25 Air conditioning or Central Air Not Cooling? Call us 24 Hr. 2015-06-10 Englewood NJ - A/C Problems: Is Your Ductwork to Blame? 2015-06-07 Millburn NJ - Air Conditioning Repair: Is Your A/C Fan Broken? 2015-06-01 Do You Need Air Conditioner Repairs or HVAC Service? 2015-03-02 Boiler or Furnace Repair or Replacement- What To Do When You Have an Older Heating System? 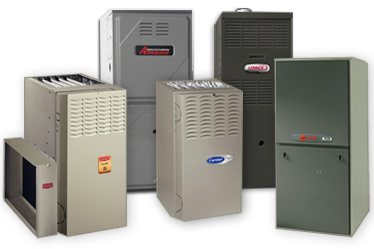 2015-06-01 Is It Time to Replace Your Furnace? 2015-06-08 Harding Township NJ- Is It Time to Replace Your Air Conditioner? 2012-06-19 Good Heating & Cooling Contractor is Hard to Find..
Air conditioning breakdowns are often inconvenient but they don’t have to take up too much of your time and money. We have provided a/c repair and installation services to residential and commercial clients in Bergen County NJ and the surrounding areas for many years and we know how to troubleshoot effectively and get your air condition repair completed quickly and affordable, with a minimum of discomfort to your family or business.